Adrian Lucas and the CBSO transformed and redeemed themselves completely with a quite delightful and finely-considered account of Constant Lambert’s “The Rio Grande”… topped by Katharine Lam, who played the ebullient piano solo with glittering panache and terrific aplomb. Definitely the highlight of the evening. Katharine Lam is hugely talented pianist who is now building a first-class reputation for herself. Her account of Beethoven’s Piano Concerto No 3 on Saturday showed exactly why she is so highly regarded. This was always an intelligent reading with balance and dynamics carefully controlled. The central slow movement possessed moments of great lyricism and delicacy while the finale was confident and stylish. Katharine Lam, was soloist in the Grieg Concerto. Unlike many precocious talents, here was one which certainly had something to communicate through the music. Balance between hands was transparent, rhythmic articulation was well-defined (accompanying figuration so ripplingly liquid,) and tonal colouring had a mature depth. Jonathan Harvey – Tombeau de Messiaen for piano with DAT tape. Katharine Lam, her relationship with the keyboard total, bought fluent pianism and a persuasive understanding to her performance. 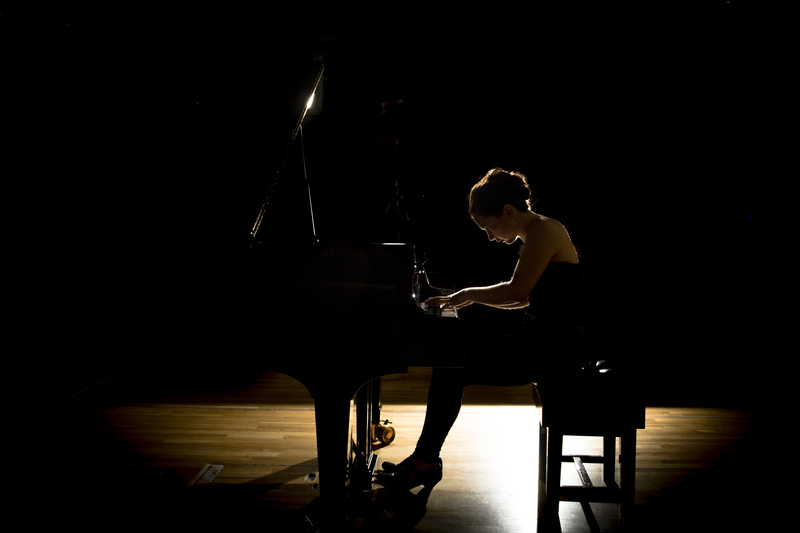 Katharine….a very accomplished pianist with remarkable technical skills. Katharine Lam handled the exotic, elaborate piano scoring with calm aplomb, steely attack and admirable rhythmic precision. Katharine began with J S Bach transcriptions by Busoni…all were played with great precision and gusto. She played magnificently and brought the house down. …simply a highlight concert, worthy of any concert hall in the country. Katharine Lam is a name worth noting. A very successful and enjoyable recital…beautifully and outstandingly played…capturing well the mood and intensity…showing not only complete mastery of the sound world but also a deep understanding. Katharine Lam joined Honeybourne in a rare outing for the Divertimento for piano duet….It was surprising to note how many aspects of Joubert’s style were already in place in this early work….The two pianists clearly savoured this charming early work, resulting in a relaxed and thoroughly enjoyable performance.